AFTER georgeous, tidy, sophisticated. Now I can truly stash all of my treasures (read: rubbish) in these 3 drawers. Super easy to do: I bought a roll of gift wrapping paper. Chose a pattern to fit the occasion/s (Chinese New Year/Valentine's). Cut paper to fit the front of drawer, stick paper with UHU glue. Voila! Instant make over. My friend warned me for the tackiness of using the modern cutesy Rat decor. But it's the year of the rat, and this was a last minute impulse buy. Since the whole thing is too long to hang on top of my TV, I had to separate the bottom 4 and hung it on my door. 1 slap, 2 groups of (cute) rats. This is sooo NOT going to get me into Project Runway. And this is the color I was going for. At HK$28, it is super duper good deal. For as long as I can remember, when I grew up and was staying in Indonesia, most people around me (including myself) craved foreign related products (so called - buatan luar negeri). Anything foreign was generally deemed superior compared to local products. This might get myself beaten up but honestly, I was not really into Indonesian products, people would make fun of me if I wore batik/kebaya (Indonesian traditional clothing), people would look down on me if I claimed that my favorite food is gudeg (Javanese traditional food) and people did roll of the floor laughing when I sang dang dut songs (Indonesian music). I would get accepted and probably admired if I wore Esprit/Benetton, dine and hung out at Pizza Hut, and listen to rock and roll. I loved everything foreign, and I seemed to have taken Indonesia for granted. Strangely, when I moved overseas, first to Australia, then to Singapore and currently now I am in Hong Kong, my sense of nationalism towards Indonesian products has been ever-growing. 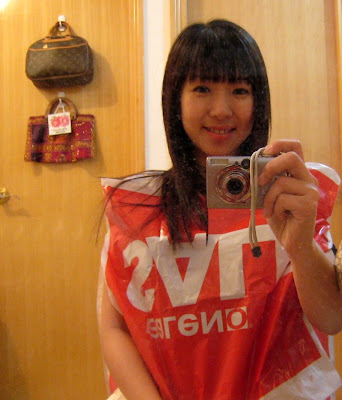 I miss Indonesian products all the time, I regularly crave Indonesian food, I proudly say that I am Indonesian, JAVAnese, even when people thought I was JAPANese (this is a huge compliment since Japanese is perceived to be superior). Every year, when I visit my home country, most of the time I just wanted to eat and drink everything Indonesian, I desperately seek for some more Indonesian ethnic decor for my home, bought loads and loads of batik clothing and wear it with pride in Hong Kong. 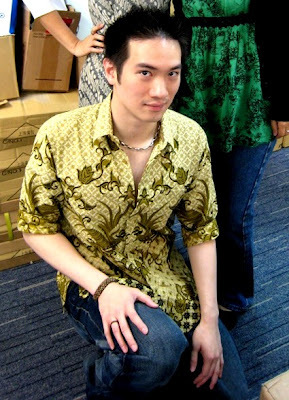 OK, I went one step further, there was a day when I asked my colleagues to wear the Indonesian clothes they purchased during an event in Indonesia. For whatever it is, despite all the minuses, there are so many good things about my country (not only Indomie and kecap manis yaaa)...So, I just know one thing: Saya Cinta Buatan Indonesia (I love Indonesian products), termasuk saya (which include myself) LOL! Interviewer: So, what's your opinion on the importance of flowers and gifts on Valentine's day? Interviewer: So, to conclude, if your lover didn't give you flowers/gifts, you WON'T get PISSED, right? Girl: (sounded pissed) What do you THINK? A recent survey found that 70% of girls think that flowers and gifts are not the whole point of Valentine's day and they do NOT mind not receiving them. 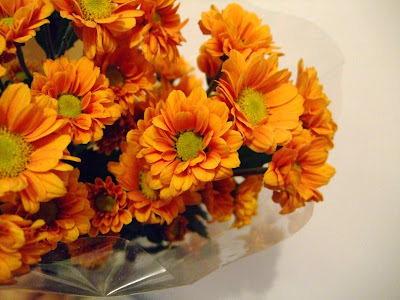 - Save cost by avoiding the popular Valentine flowers (instead of rose/s, get the chrysanthemum, or broccoli? lol), with lots of luck, you might get considered "unique" or "creative"
Valentine's Day in the super commercialized Hong Kong is an affair to remember, for its pricey-ness, especially for boys, but more importantly, for girls. Exactly how much does LOVE cost on V-day? GIRLS might get buried in major (I repeat, MAJOR) debts for (ironically) adapting to the concept of “I don’t need no gift, YOU are already my gift” (quoted from the object of their affection). My deepest apology to have posted something on this topic again...but it is ALL I heard at work, it is the thing that hits a PAUSE button on the usual inter-intra-departmental feuds, back-stabbing, responsibility-dodging, ball-dropping, blame-shifting & arse-licking activities. So...I'd be NAIVE & SILLY not to post something. A friend's cousin's husband (yeah right, it is TAT complicated) said that he admired Edison, as he could convince the starlets to take such provocative pictures.